This entry was posted in Eugenocide/Population Control, Genetically Engineered Food, Government experimentation on the public, Medical information and Research Data, RESEARCH, STUDIES, DOCUMENTATION and tagged GMO, Jeffrey Smith on February 13, 2016 by Editor. The AquAdvantage salmon, as it is known, is an Atlantic salmon. It was developed by AquaBounty Technologies, which is now majority-owned by the Intrexon Corporation.The agency indicated that labeling would not be mandatory, a decision that is consistent with its position on foods made from genetically engineered crops, which is that genetic engineering in and of itself does not necessarily make a material change in the food. The fish are supposed to be raised indoor to lessen the chances (emphasis added) that they will escape into the wild. VLA Comment: Years ago, I, the founder of VLA, approached the Kosher Rabbis in Chicago about Genetically Engineered food. 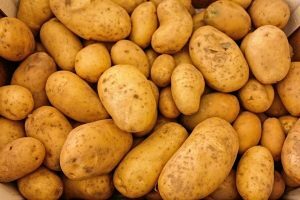 Questions I had…say, if a potato is genetically engineered with the gene of a chicken and sour cream was put on it…would it be Kosher? The answer was that as long as you don’t see it with the “naked eye”…it is okay. I said that I understand that the spirit of the law would indicate “innocence”. But today we have microscopes and technology that allows us to know what the condition of the food is. To no avail…the Kosher Rabbis stick to the letter of the law, not the Spirit. 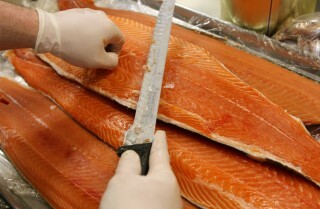 Naming it Atlantic Salmon without labeling that it is GMO will have the buyers and customers confused. They will charge a lower cost than “wild” Atlantic Salmon. When the customer asks for Atlantic Salmon…will they get this one? I hope they don’t call it wild Atlantic salmon because its parent is a wild salmon. This entry was posted in Animals & Animal Vaccines, Genetically Engineered Food, Government experimentation on the public and tagged GMO, NYTimes, Salmon on November 19, 2015 by Editor. This entry was posted in Articles & Breaking News, Food & Water, Genetically Engineered Food, Liberty & Freedom Room and tagged GMO, Labeling, vote on July 25, 2015 by Editor.